Hi everyone, I joined this forum because I am working on my 1996 Accord Ex. I have been reading the other posts on installing keyless entry systems and I am almost there. I purchased a Avital keyless entry and as I was installing it I realized that the previous owner had done the same, and must have lost the remote. I almost have it hooked up except for the last wire. 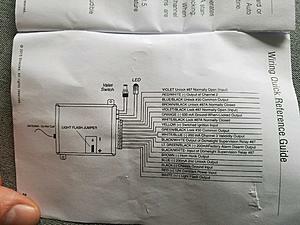 Please excuse my ignorance of electrical systems. 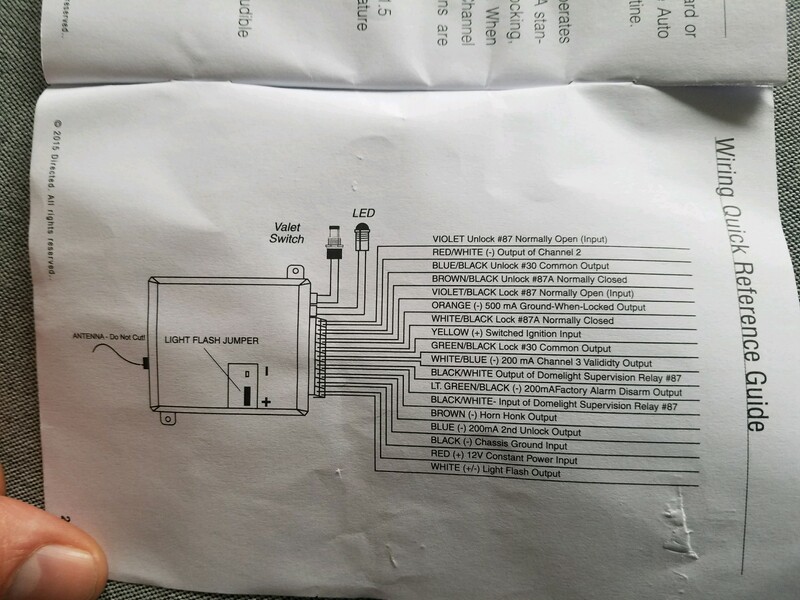 I have lock and unlock connected, but from what I have been reading I need to find the negative door trigger. 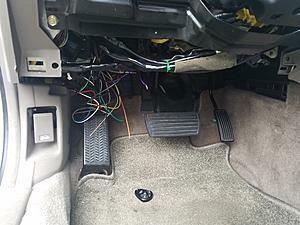 I actually took apart the switch on the door panel and hooked the 3 wires directly into there and the remote worked. 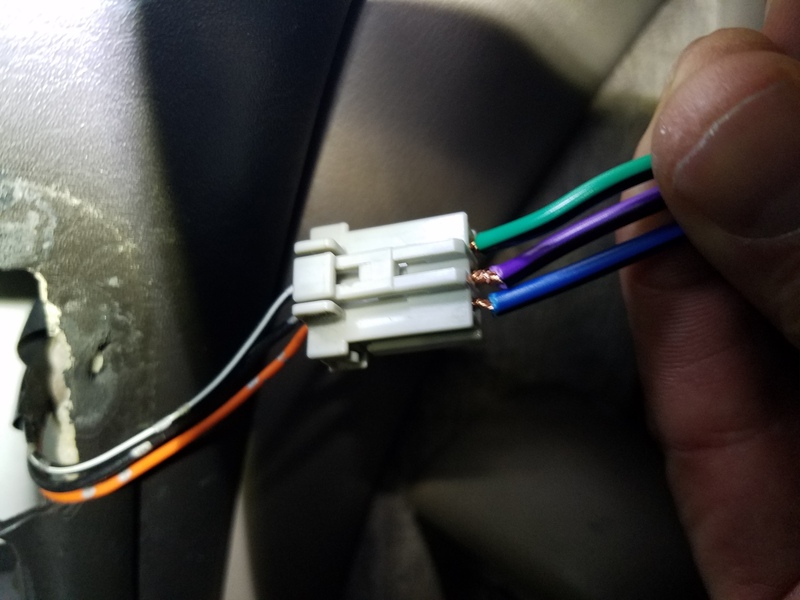 Constant current, ground, and parking flash wires are all connect, I just need to find (what I think is the negative triggered ) under the dash, or if there is any other way to wire. Any help would be appreciated. Last edited by ahelmer; 03-31-2018 at 03:45 PM. It took a little while to understand what you were asking, as the title of your thread is misleading. 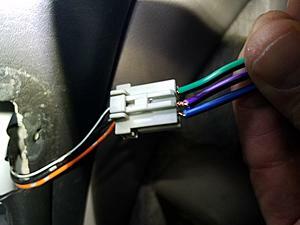 Your question is asking about the wire to trigger the alarm when a door is opened. 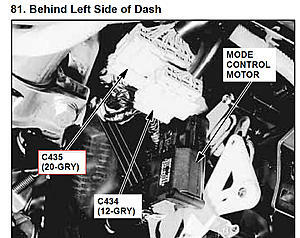 There are keyless entry systems that are not part of a security system. For the door open input wire to trigger the alarm, there is a Blk/Wht wire (-) coming from the gauge assembly (aka cluster) to a 20P gray connector (Connector C435) located to the right of the steering column. 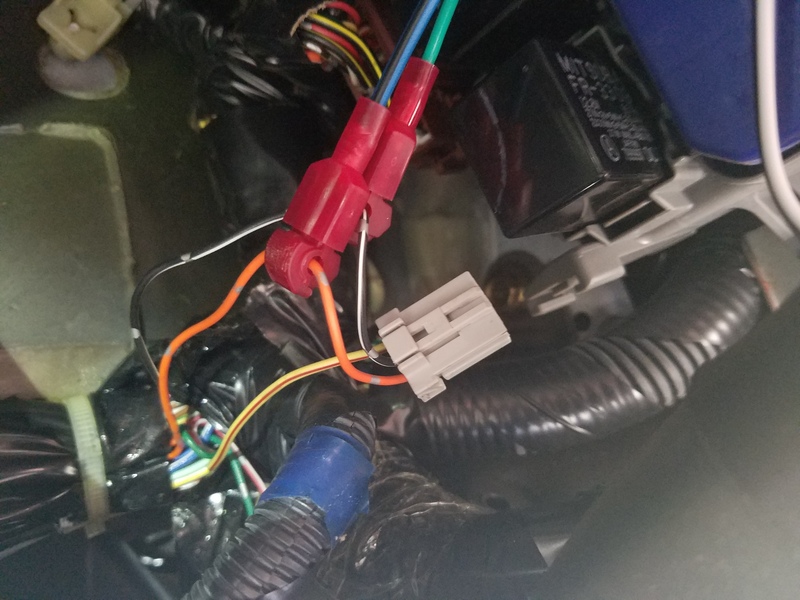 The Blk/Wire is at pin 5 of Connector C435. 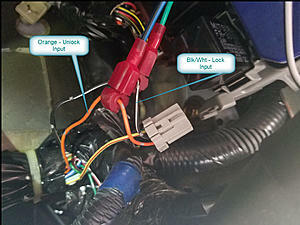 That is the same wire used by the optional Honda security system and the stock security system on SE models. 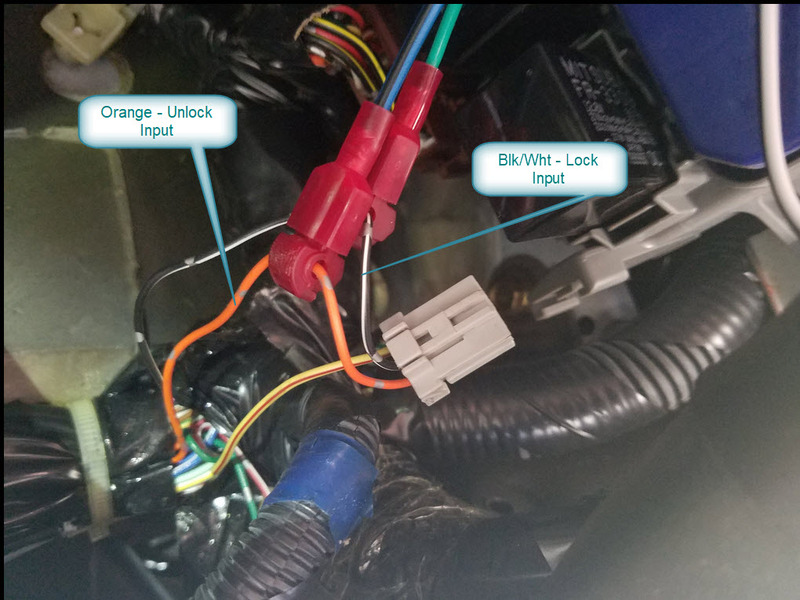 This photo appears to already show the lock and unlock wires tapped into at Connector C425, located under the driver's dash, above the kick panel. 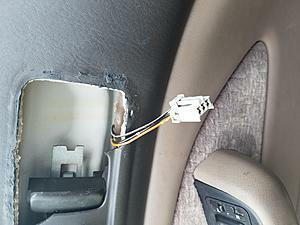 The door locks are negative trigger.